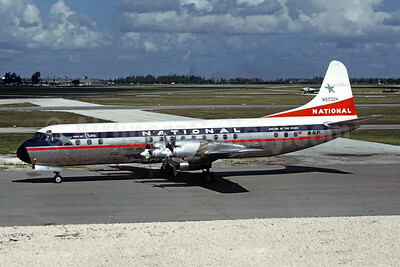 (NA/NAL) (Miami) 1934 - 1980. Photos. Framable Color Prints and Posters. Digital Sharp Images. Aviation Gifts. 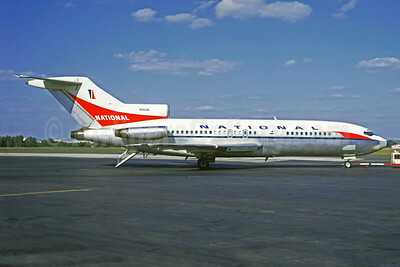 National Airlines (1st) Boeing 727-35 N4616 (msn 18817) DCA (Jacques Guillem Collection). Image: 927528. 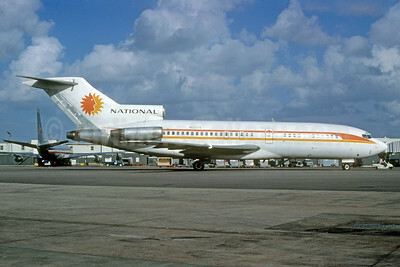 National Airlines (1st) Boeing 727-35 N4617 (msn 18845) TPA (Bruce Drum). Image: 102283. 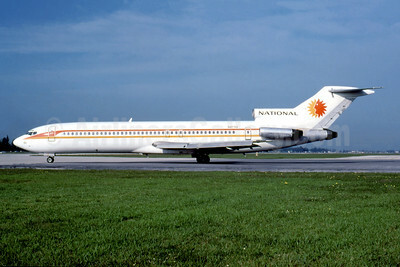 National Airlines (1st) Boeing 727-35 N4619 (msn 18847) MIA (Bruce Drum). Image: 102858. 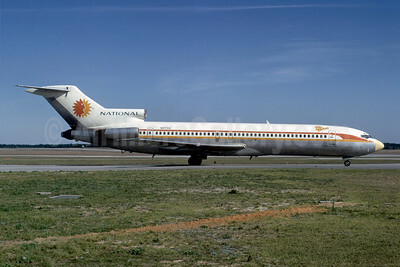 National Airlines (1st) Boeing 727-51 N3605 (msn 18942) (partial livery) MIA (Bruce Drum). Image: 102284. 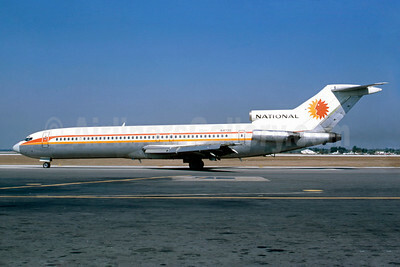 National Airlines (1st) Boeing 727-51 N5608 (msn 18805) LAX (Ron Monroe). Image: 945142. 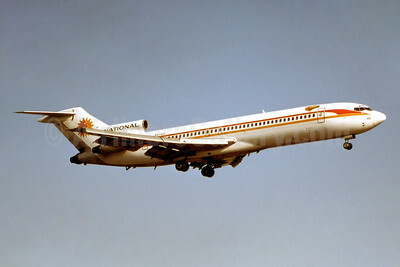 National Airlines (1st) Boeing 727-51 N5609 (msn 18806) MIA (Bruce Drum). Image: 102859. 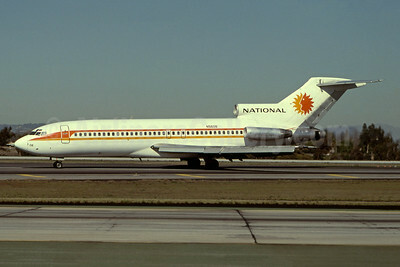 National Airlines (1st) Boeing 727-235 N4730 (msn 19450) TPA (Bruce Drum). Image: 102860. 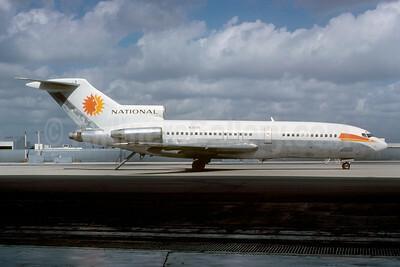 National Airlines (1st) Boeing 727-235 N4733 (msn 19453) MIA (Al Rodriguez - Fernandez Imaging Collection). Image: 945140. 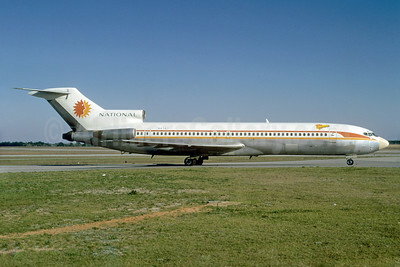 National Airlines (1st) Boeing 727-235 N4734 (msn 19454) "Elaine" PNS (Bruce Drum). Image: 102285. 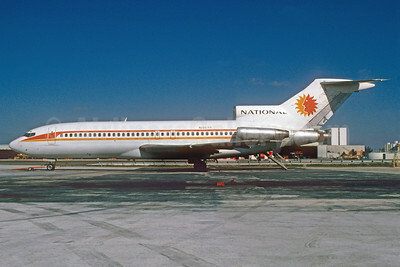 National Airlines (1st) Boeing 727-235 N4737 (msn 19457) MIA (Bruce Drum). Image: 102286. 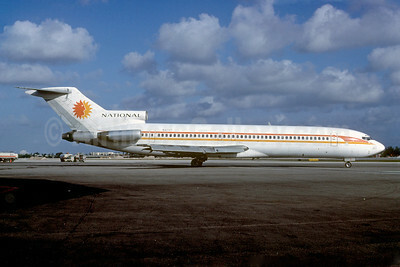 National Airlines (1st) Boeing 727-235 N4742 (msn 19462) LAX (Ron Monroe). Image: 945141. 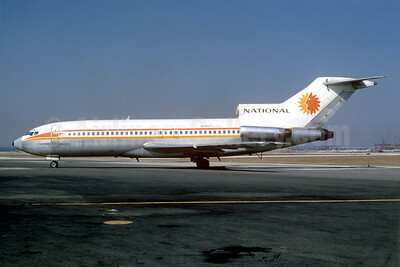 National Airlines (1st) Boeing 727-235 N4747 (msn 19467) PNS (Bruce Drum). Image: 102861. 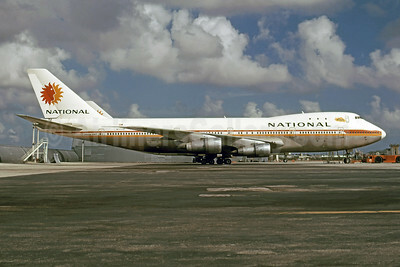 National Airlines (1st) Boeing 747-135 N77772 (msn 19918) MIA (Bruce Drum). Image: 102281. 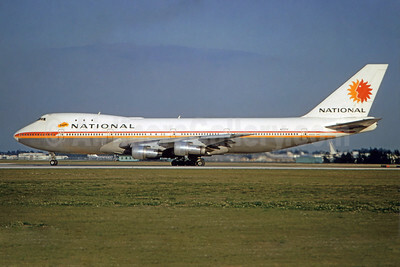 National Airlines (1st) Boeing 747-135 N77773 (msn 19919) (Christian Volpati Collection). Image: 944901. 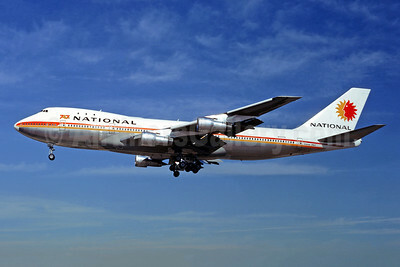 National Airlines (1st) Boeing 747-135 N77773 (msn 19919) LAX (Ron Monroe). Image: 944252. 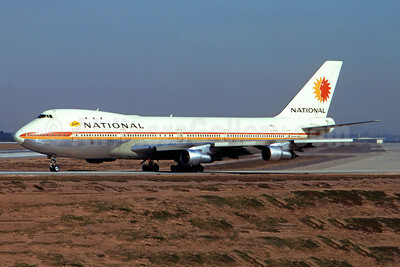 National Airlines (1st) Boeing 747-135 N77773 (msn 19919) MIA (Bruce Drum). Image: 101069. Best Seller - "Airline of the Stars"
National Airlines (1st) Douglas DC-6 N90894 (msn 43058) "Airline of the Stars" BOS (Jacques Guillem Collection). Image: 910948. 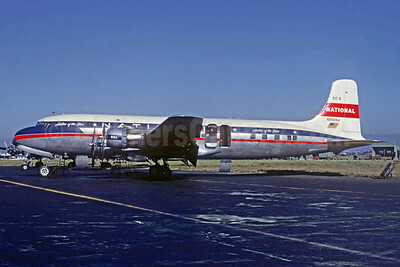 Best Seller - Airline Color Scheme - Introduced 1950 "Airline of the Stars"
National Airlines (1st) Lockheed 188A Electra N5002K (msn 1059) "Airline of the Stars" MIA (Jacques Guillem Collection). Image: 907917. 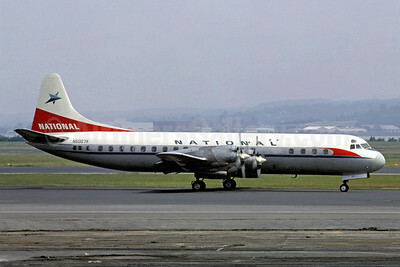 National Airlines (1st) Lockheed 188A Electra N5007K (msn 1089) (Jacques Guillem Collection). Image: 907918. 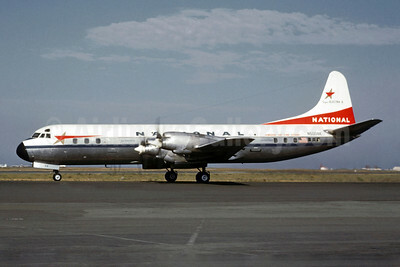 National Airlines (1st) Lockheed 188A Electra N5008K (msn 1092) "Airline of the Stars" SFO (Jacques Guillem Collection). Image: 907919. 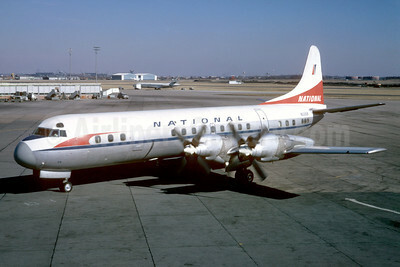 National Airlines (1st) Lockheed 188A Electra N5016K (msn 1027) PHL (Bruce Drum). Image: 102282. 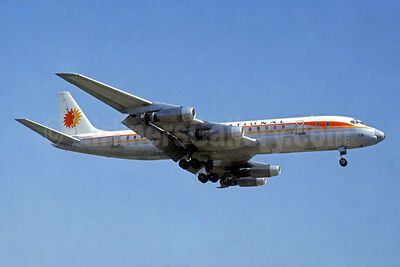 National Airlines (1st) McDonnell Douglas DC-8-21 N6571C (msn 45391) LAX (Ted J. Gibson - Bruce Drum Collection). Image: 912190. 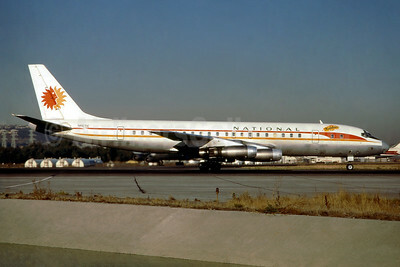 National Airlines (1st) McDonnell Douglas DC-8-21 N6571C (msn 45391) SFO (Dean Slaybaugh - Fernandez Imaging Collection). Image: 937615. 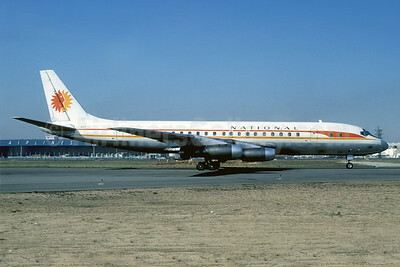 National Airlines (1st) McDonnell Douglas DC-8-32 N7182C (msn 45603) SFO (Jacques Guillem Collection). Image: 944534.